Macro Fish Eye. Single Adult Goldfish In Aquarium Isolated On White Background. Close Up View. Animal Pets Concept. Foto Royalty Free, Gravuras, Imagens E Banco De Fotografias. Image 113085733. Banco de Imagens - Macro fish eye. Single adult goldfish in aquarium isolated on white background. Close up view. Animal pets concept. Macro fish eye. 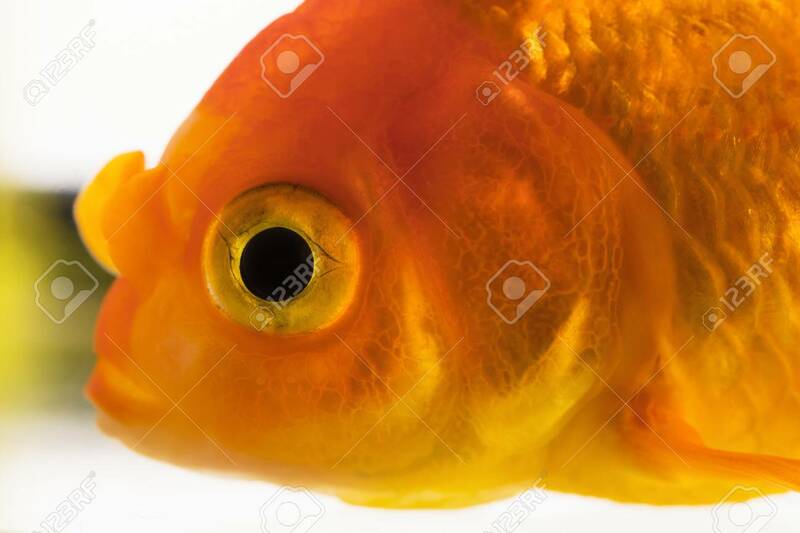 Single adult goldfish in aquarium isolated on white background. Close up view. Animal pets concept.